► Is it worth the extra cash? While we wait for the 992-generation Porsche 911, the latest version to join the Carrera range has arrived in the UK. 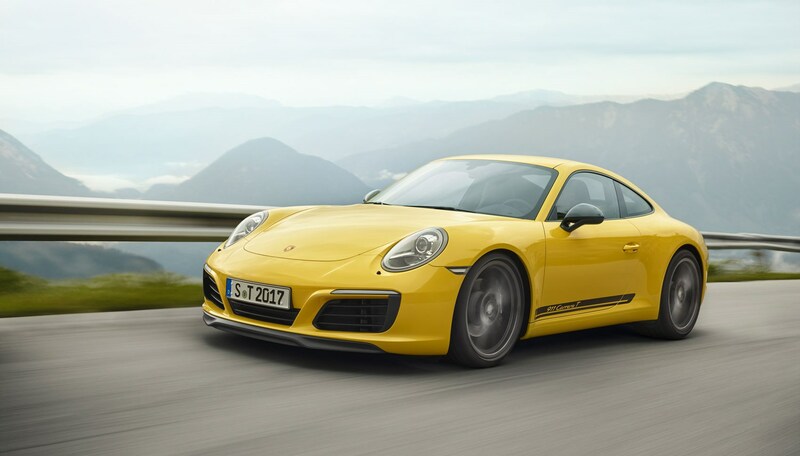 Porsche’s 911 Carrera T is a nod to the 911 T of 1968, where Brits Vic Elford and David Stone drove on to Porsche’s first Monte Carlo rally win. 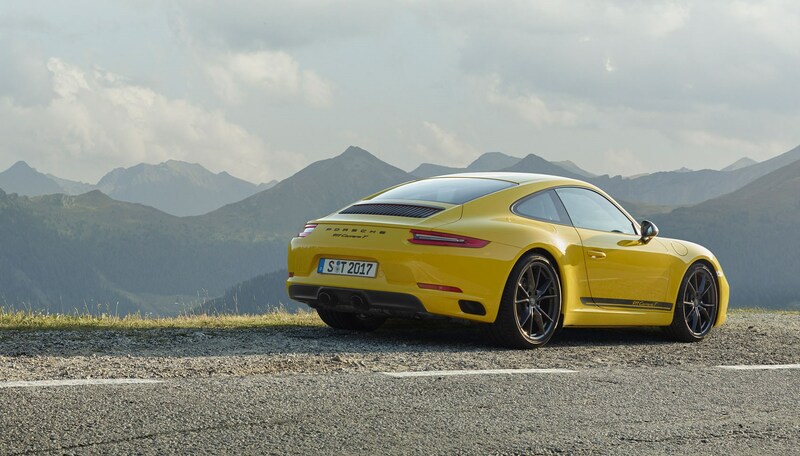 Porsche’s tagline for the T is ‘less is more’, as you’ll see from the latest model’s price tag. Keep reading for our drive on the 2018 Porsche 911 Carrera T.
I take it you pay more for less, then? Technically, yes – 20 kilograms less, to be precise, when compared to a standard Carrera ‘with similar equipment’, says Porsche. Given that the weight figure is dry means less than you think and, oddly, the standard Carrera’s unladen weight is rated at 1430kg. Anyway, soundproofing has been dialled back to a minimum, the rear windows are made from thinner glass, and the door pulls have been replaced with fabric loops. The rear seat pads and infotainment system are removed by default, too, but both can be added back in at no cost. The T also allows for rear-wheel steering as an option – the Carrera, meanwhile, says a polite nein danke on that front. Is the extra price worth it? Yours for a total of £85,518* – as long as you go for the no-cost red, black, white or yellow paints and no-cost leather upholstery. Or, if you’re happy to go used, we’ve found well-specced 2016 991-generation Carrera S models chiming in at the £85k mark, too. All for the price of a basic Carrera T. Heck, even a 718 Cayman GTS is £25k cheaper will feel just as quick (4.6secs to 4.5secs), if you can stomach the lumpy flat-four exhaust note. Granted, you might think ‘well that’s not the point – it’s meant to be the purer Carrera model.’ Well, yes, but a theoretical 20kg arguably doesn’t feel that much different in the real world when you’re caning it on a back road. What’s more the probability that you’ll be able to notice the difference between the Carrera’s 4.6sec 0-62mph sprint against the T’s 4.5sec driving them back-to-back is incredibly minor. The smile on your face will be just as big driving the T as a standard Carrera, I promise you. The T will still make you smile, then? Oh absolutely. There’s no denying that the T is just as much of a tasty thing to drive as the rest of the Carrera range. Thanks to the 991-generation’s switchover to full turbocharging across the Carrera line-up, the T’s torque band stretches most of the rev range, with a whoosh of boost accompanying the still scintillating flat-six wail. And because there’s less sound deadening, you’ll hear more of it, too. 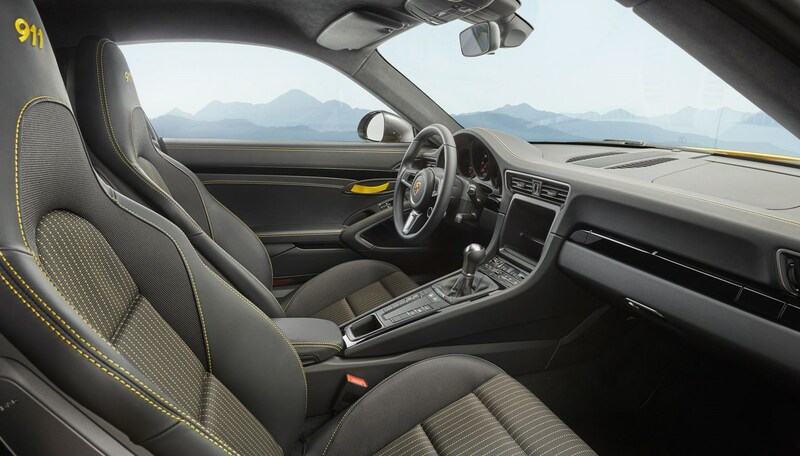 The swell of power is exciting but not mind-blowing, with the engine bringing its own bit to a party that blends seamlessly with the chunky-but-positive shift action and balanced suspension sports suspension setup, lowered by 20mm compared to a standard Carrera. The tastiest bit of the recipe is the steering – heavy enough, precise and intuitive mid-corner, something that can be further supplemented by rear-wheel steering if you specify it. The T’s gearing is shorter than usual but still feels a little long-legged at times. On the plus side, seventh gear at a motorway cruise can make for 35mpg+ on extended trips. The reduced sound deadening and wide rear tyres can throw up a lot of road noise on coarser road surfaces, mind. It’s a hoot, but the Carrera T feels just as much of a hoot as a regular 911. Great steering, howling flat-six, composed handling – the lot. If you’re dead set on a Carrera T, do it properly – throw the options list out of the window and get a standard one sans any extra kit, otherwise you’ll undo the apparent weight difference. After all, this is supposed to be the antithesis to the tooled-up Carrera 4 GTS. Then you’ll have a 911 variant that’s not only different enough to justify but a fantastic drivers’ car. Got around £85k in the bank and not bothered by the slim veneer of exclusivity, or after a better daily driver? Just go for a Carrera and spend the £8k saved on some options to make it your own. It’s still a great car without all of the guff about purism the Porsche nuts love.